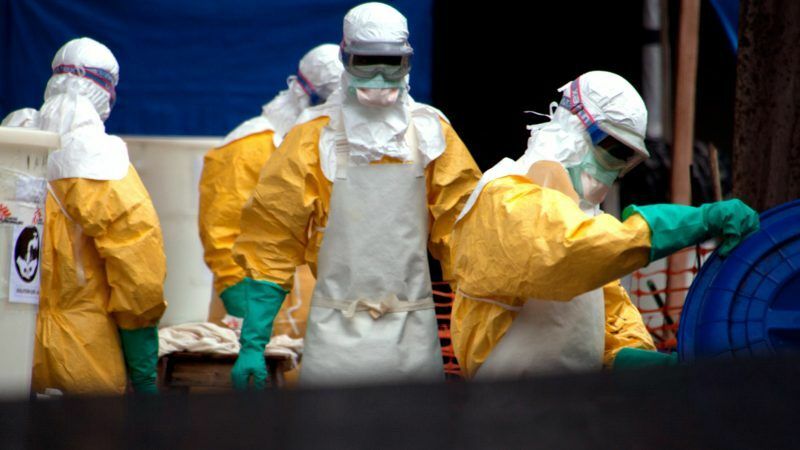 The Ebola epidemic, which killed more than 11,000 people over an expanse of West Africa between 2014 and 2016, has enabled experts to draw a series of conclusions in a bid to improve health services at least in Guinea, a Parliament delegation visiting the country has found. EURACTIV’s media partner efe-epa reports. The delegation, alongside experts from the World Health Organization, visited Conakry to review the main pillars of the county’s health system and to check on the changes made in order to avert similar health disasters. “After seeing the results, I think the country and its government, together with the NGOs and the EU delegation, are doing a good job,” the head of the delegation, Norbert Neuser, told EFE. “Two years after the Ebola crisis, I can say that we have learned lessons, and that will be our message to the Parliament,” he said. Neuser heads a delegation also made up of the German Maria Noichl and Adam Szejnfeld from Poland. Ebola highlighted the failings of Guinea’s health service due in large part to underfunding. Only 1.98% of the state’s budget had been allocated to the health sector in 2012, leading to low numbers of health personnel – doctors and nurses – among the population, with just 3.59 per 100,000 inhabitants, as well as a lack of medicines, equipment and a defective risk-detection system. “Imagine, in the last outbreak we took three and a half months to realize that we had an Ebola outbreak in the country,” said Sakoba Keita, director of the National Social Security Agency, created in 2016. Ebola forced the closure of 6% of hospitals due to, among other things, the deaths of 115 doctors and paramedics in the 2015 epidemic. “The scarcer and more inappropriate the human resources, the more widespread and dangerous the epidemic will be,” said Kaba Abdoulaye, head of the Office of Strategy and Development in the Ministry of Health. Thanks to global solidarity and a coordinated strategy from the government, the statistics have improved. The health budget almost quadrupled to 7.4% in 2017 and health personnel increased by 120%. Some 27 hospitals and health centers have been built, in addition to three laboratories. 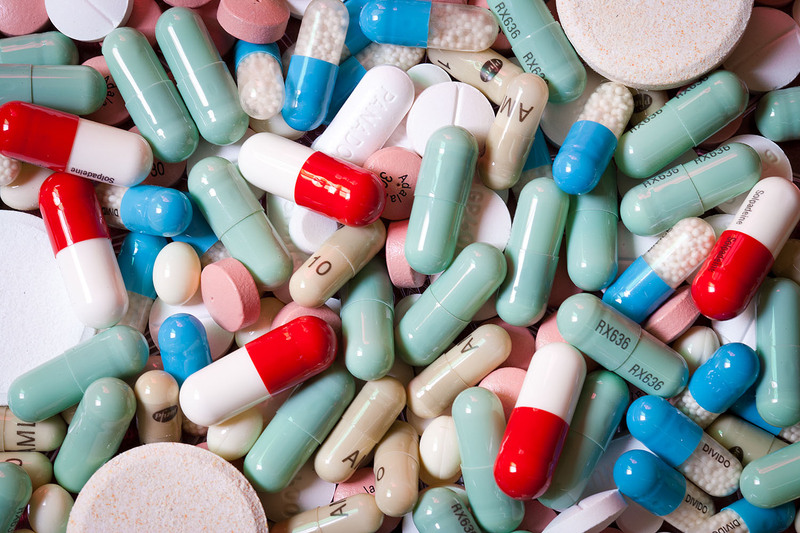 Guinea’s Central Pharmacy received batches of medicines worth €2.3 million in November thanks to the Health Support Program in Guinea, which is funded by the EU for the period of 2015-2023. The program is also reinforced by two other European projects that lift the total budget to more than €115 million ($140 million). 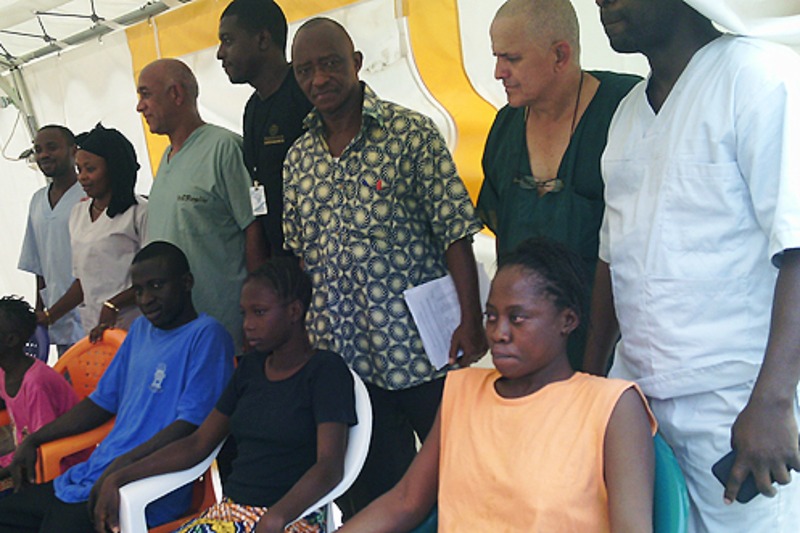 In its visit to the Ignace Deen Hospital, the delegation found, however, that much still needed to be done. The old hospital has a staff of 400 professionals whose salaries ranged from €200 to €350 in 2017. They attended to a total of 8,749 patients on a budget that was largely provided by international donations. SPECIAL REPORT: Billions of people in developing nations lack the health and social protections that most Europeans take for granted, a gap that experts say harms efforts to reduce poverty and prevent crises like the killer Ebola epidemic in West Africa. Beyond the health sector, there were other “big gaps to be solved,” MEP Szejnfeld said, referring in particular to garbage collection and environmental protection. To this effect, the EU is financing a project for the Professionalization of Solid Waste Management, plus an Urban Development and Sanitation Program in Conakry. One of the things that grabs the attention of anyone arriving in Conakry is the amount of garbage piled up in its streets. The city’s population of two million produce 3,000 tons of waste per day and there is no organized waste collection system. The World Health Organisation’s criteria for action is to support the country to increase its surveillance and detection capacity so it can better protect the population from epidemics, said Georges Alfred Ki-Zebro, the WHO representative in Guinea. “The main lesson we learned is the importance of health security in a globalized world, because every health event, particularly communicable diseases, that occurs in the most remote location can be transmitted in 24 hours to the other parts of the world,” he said. It was precisely in a small town in Guinea where the last Ebola epidemic broke out. A two-year-old boy who had played with bats housed in a hollow trunk became suddenly ill and died a few days later. In line with the region’s funerary traditions, the little boy was mourned for three days during which he was caressed and kissed by his family and neighbours. This triggered the spread of the disease, with tragic results in Guinea and its neighbours. In total, almost 29,000 infections ensued, leading to more than 11,300 deaths. The WHO promotes the concept of “One Health” in Guinea, that of both humans and animals. The aim is to make the population understand that “health is influenced by factors that are not only medical,” such as “hygiene, sewage, the control of animal diseases” or the rational use of medicines such as antibiotics,” said Ki- Zebro.